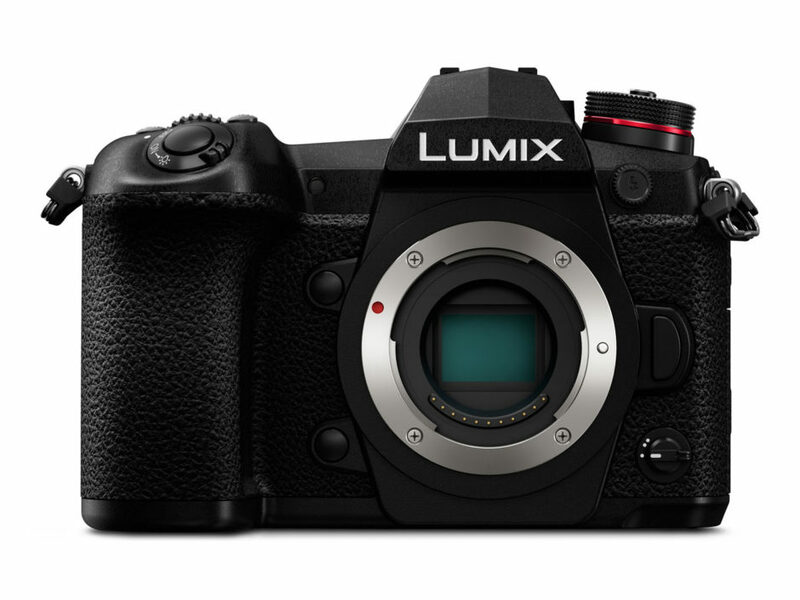 This year at the “Salon de la Photo 2017”, Panasonic was the only manufacturer showcasing a world’s first: its latest high-end hybrid, the Panasonic Lumix G9. 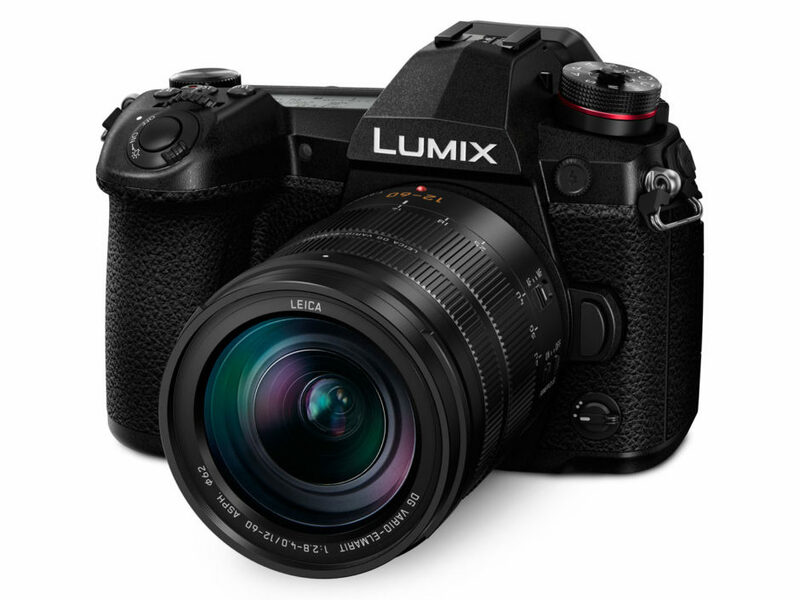 Largely inspired by the GH5, this Lumix is geared towards photography and is equipped with a 20.3-megapixel micro 4/3 CMOS sensor, Pixel Shift for 80 Mpx images, 60 FPS 4K UHD video, and ergonomics similar to those of a reflex camera and with a control display on its "shoulder". This camera will inaugurate a new era for Panasonic by enabling it to enter the professional camera market, in direct competition with the Olympus OM-D E-M1 Mark II, the Sony A6500 or even the Nikon D500. Announced at the beginning of 2017, the Lumix GH5 is a mirrorless camera geared towards videography. Photographers in searching for a professional hybrid camera for photography were not necessarily finding a camera to fit their needs. 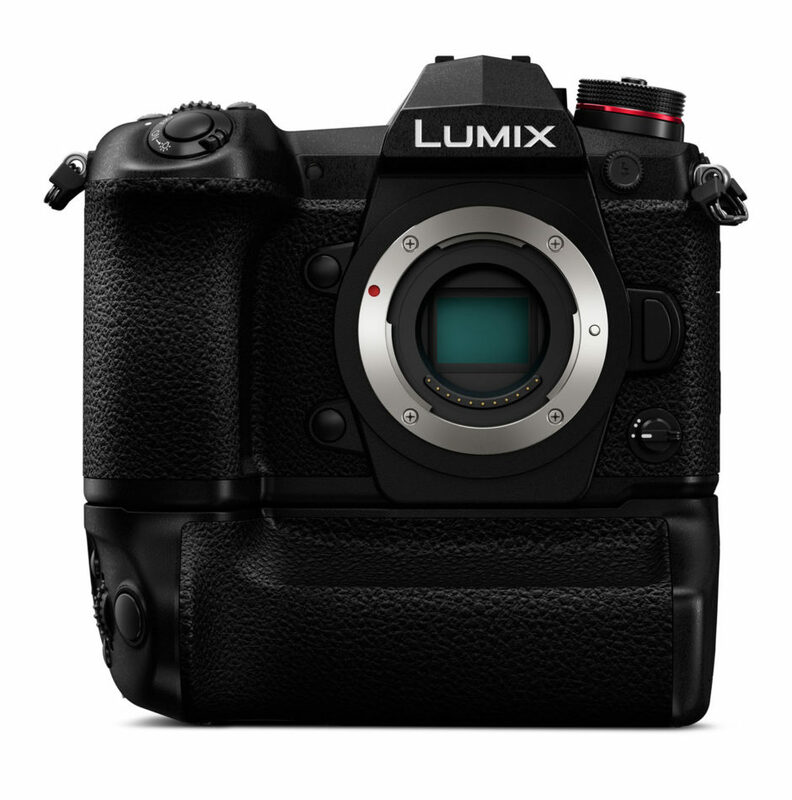 For this reason, Panasonic decided to offer consumers a second device – the G9, successor to the G80 – geared towards photography. The G9 has many of the same characteristics as the GH5, beginning with its 20.3-megapixel micro 4/3 sensor without a low-pass filter. In order to make it more capable as a photography camera, Panasonic treated the surface of the sensor to reduce parasitic flaring. The G9’s Venus Engine processor, also borrowed from the GH5, has been optimized to offer richer color and texture rendering for photography. Contrary to video frames where the image should be as neutral as possible before calibration, photographic images require as much depth and texture as possible from the moment of their capture. The G9’s dynamic range is said to be 25% higher than that of the GH5, with better management of gradients and color flattening. 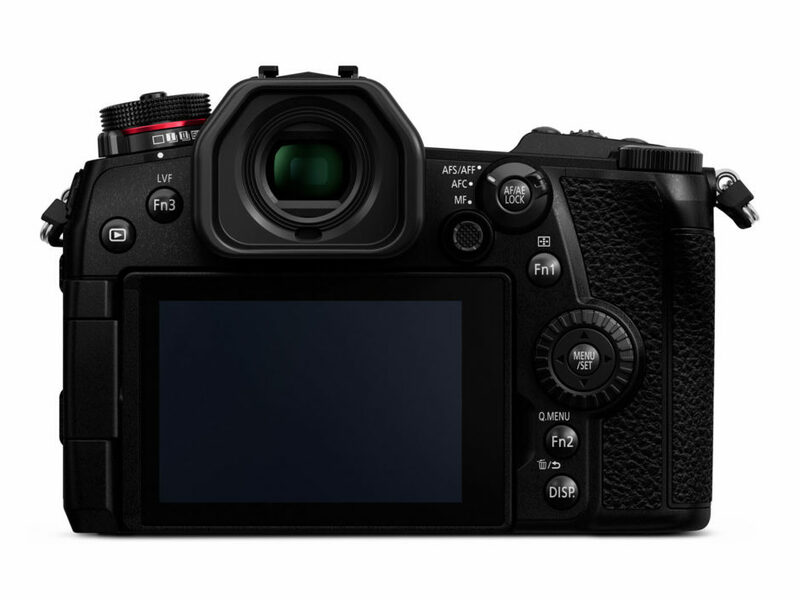 The G9’s ISO range is from 100 to 25600 ISO and its digital noise management has been improved with the help of algorithms. 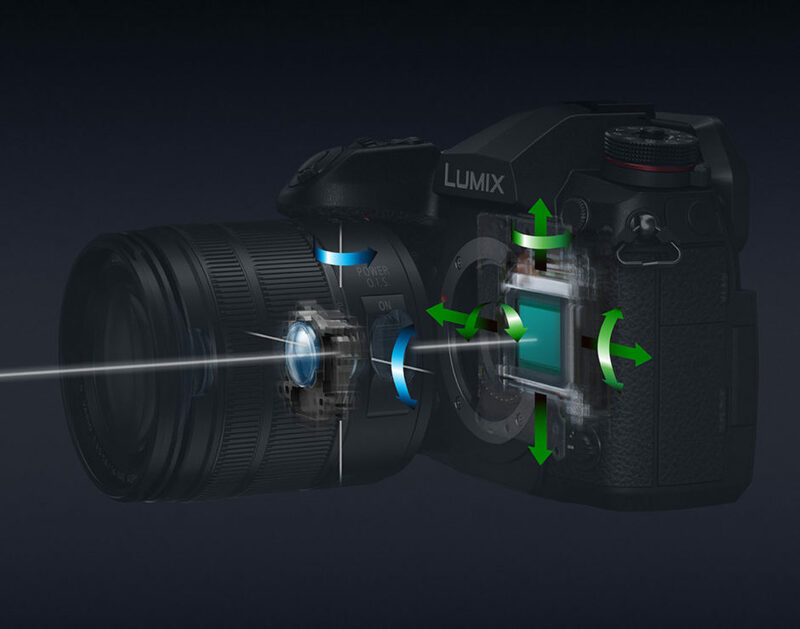 The Lumix G9 uses the same dual 5-axis stabilization as the GH5, which, according to Panasonic, offers a gain of 6.5 IL with a compatible stabilized lens (CIPA norm) – 1.5 IL more than the GH5, a significant improvement. 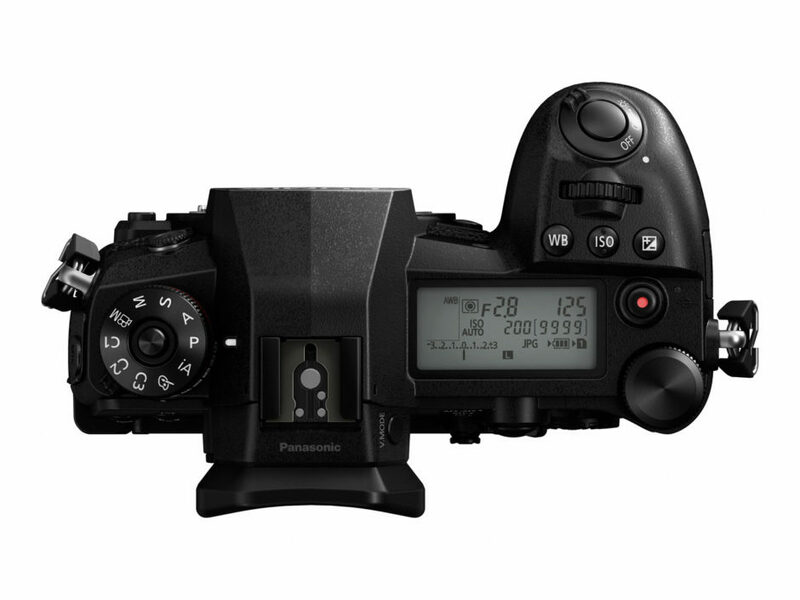 In terms of responsiveness, the G9 is equipped with AF DFD (Depth From Defocus, which offers fast and precise autofocus without any pumping effect) technology with 225 collimators and a rear-facing joystick for controlling the AF zone – much better than the G80, which only had 49 collimators. Focus can be achieved in as little as 0.04 seconds and the G9 also offers several different subject tracking AF modes. The camera only weighs 658g and its small size, coupled with compact lenses will make it a good, lightweight travel companion. In order to attract professional photographers who are used to an optical viewfinder, the G9 incorporates a 3.68 million points OLED viewfinder (like the one on the GH5), but with a magnification factor of 0.83x versus 0.76 – making it the largest electronic viewfinder on the market; it is especially comfortable for people who wear glasses. The viewfinder seems vastly large, even if we noticed a trapezoidal deformation on the model being presented at the "Salon de la Photo". The viewfinder’s refresh rate is 120 FPS which enables taking high-speed bursts with zero blackout effect, just like the Sony A9 is capable of. It is possible to lower the refresh rate in order to conserve battery life. A night shot mode also makes it possible to adapt the viewfinder to low light conditions to allow for a more natural rendering of images. The rear-facing touchscreen is a little bit simpler than the one on the GH5: it only has 1.04 million points, but it is still equipped with a ball-joint orientation mechanism which allows for a greater range of motion than a simple tilting mechanism does. When using the electronic shutter, the Lumix G9 is capable of capturing a burst of images at a rate of 60 images/second when using simple AF and 20 images/second when using continuous AF (full resolution RAW images or JPEG images). During long bursts, it will be necessary to use the mechanical shutter which offers a burst rate of 12 images/second with simple AF or 9 images/second with continuous AF (up to 600 JPEG images or 60 RAW images) or to use either the 6K (18 Mpx) or 4K (8 Mpx) photo modes which offer 30 images/second and 60 images/second respectively for a maximum of 10 minutes. The electromagnetic shutter has a maximum speed of 1/8000s which is guaranteed to work for 200 000 releases. When using the electronic viewfinder, the camera’s maximum shutter speed will be 1/32 000s. A lot of work was invested in the design of the Lumix G9’s case which more closely resembles that of a reflex camera than that of a hybrid camera, except in terms of its weight. Its design is very bold and self-assured, with beveled edges. The case is made out of a magnesium alloy which is weather resistant (splashes, dust, temperatures as cold as -10 degrees). Its weather-resistant construction is complemented by a textured grip which is both deep and comfortable allowing for a firm hand-hold. Overall, its design somewhat resembles that of the Sony Alpha, without looking too much like it. In terms of controls, the G9 offers everything that professional photographers are looking for: a dual control knob of the right "shoulder" to select the P,A,S,M mode as well as the shooting mode (simple photo, burst, 6K, 4K, etc.). On the top right-hand side of the device are the quick controls for choosing white balance, ISO, and exposure correction. Two control knobs, one at the front, one at the back complete this camera’s complement of controls. On the rear side of the device is a simple switch next to the viewfinder for quickly selecting the focusing mode: simple, continuous or manual – for the last of these, a joystick makes it possible to displace the active AF collimator. The G9’s rear side has fewer buttons than that of the G80, but the placement of its controls seems to have been better thought out. On its top side, an orange backlit control screen gives this camera a professional touch. This type of display will not be new to many photographers, but it is a first for a Lumix camera (and for a hybrid for that matter, with the exception of the Leica SL); the G9 is equipped with an accessory, which, until now, has been reserved for high-end devices. It is also worth mentioning that with its G9 and GH5, Panasonic is following in the footsteps of Sony which segmented its professional product line into the A7R – geared towards photography – and the A7S which is geared towards video. 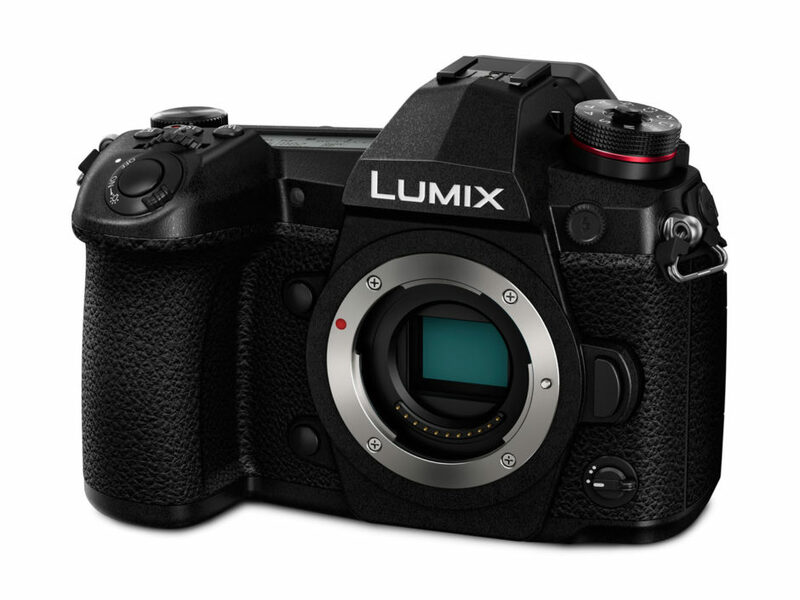 In addition to the focus stacking and Post Focus (which achieves focus at a later time by using a series of captured images) modes, the Lumix G9 is capable of capturing photos in high-resolution (80 megapixels) thanks to its Pixel Shift technology – greatly inspired by the Olympus OM-D E-M5 Mark II (and recently the Sony A7RIII) and consisting of taking a burst of photos with a slight displacement of the sensor in between each shot. In this instance, 8 photos are put together to form an 80-megapixel image (10 368 x 7 776 px) in JPEG or RAW format. 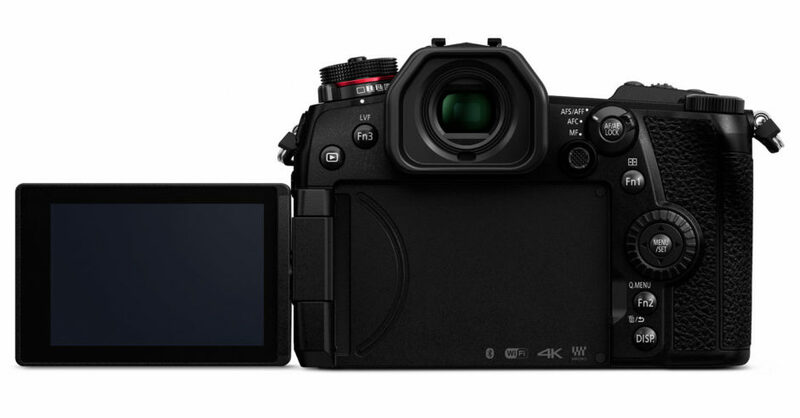 Compared to the Olympus, the G9’s resolution is higher; it is also able to record in RAW + JPEG mode on the fly. When using this mode a tripod is almost indispensable. Panasonic or Olympus, how to choose? Up until now, Olympus dominated the market with the only micro 4/3 hybrid camera dedicated to professional photographers: the E-M1 Mark II. 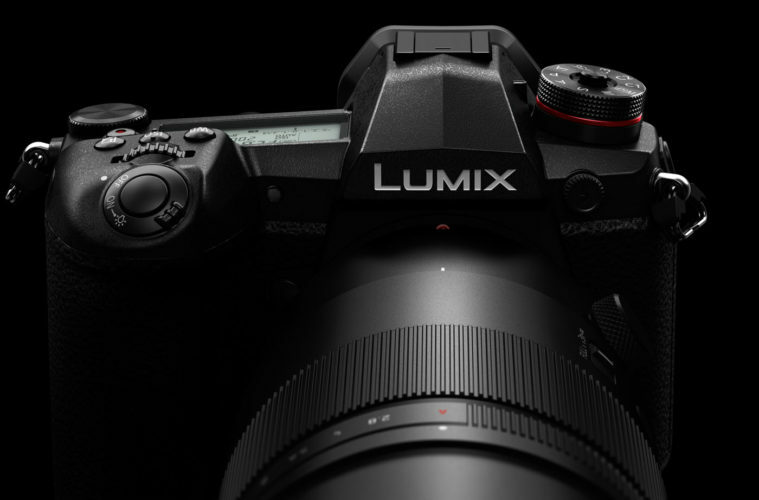 Now, Panasonic’s Lumix G9 has entered the market as a competitor. This competition may even spark a race for innovation between these two manufacturers who share the same micro 4/3 lens mount (Panasonic lenses can be used on Olympus cameras and vice versa). The Lumix G9 has a full range of connectivity options available to it, including: a dual UHS-II SD card slot (which was already present on the GH5), two USB 3.0 ports (no USB Type C port, a shame), an HDMI A port, a headphone jack, a microphone jack and a flash synchronization port. This camera is also equipped with WiFi and Bluetooth 4.2 (Low Energy) connectivity which will allow you to establish and maintain a connection between your smartphone and your camera. The battery used by the G9 has a capacity of 1869 mAh, the same as the one used by the GH5, with an announced battery autonomy of up to 920 photos in economy mode (CIPA) and 1 840 when using the grip and a second battery. Good news: the camera can be powered and recharged via USB. While the Lumix G9 is not as complete as the GH5 in terms of its video capturing ability, it is still able to record video in 4K UHD definition at 60 FPS in 4:2:0 8 bits at a rate of 150 Mbps without reframing. In comparison, the GH5 is capable of recording 4K UHD at 60 FPS and at a rate of 400 Mbps and V-Log with a complete HDMI stream. In Full HD, the G9 can film at 60, 120 FPS or at 180 FPS in slow mode. Is this camera good enough for photographers interested in shooting a video from time to time? Yes. 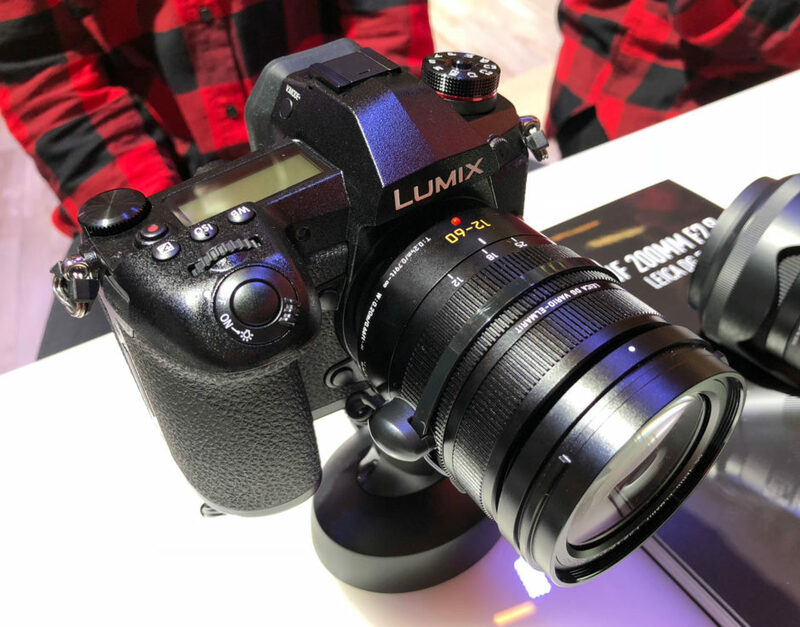 But what is particularly frustrating is to know that this camera has the capacity to be a very good video camera but that it has been voluntarily limited by Panasonic for the sake of their strategy of segmenting their high-end product line. You will need to wait a while before you are able to get your hands on the Panasonic Lumix G9. This hybrid will be available in mid-January 2018 for a cost of 1699€ – lens not included. It will also be sold in a kit alongside the Leica DG Vario-Elmarit 12-60 mm f/2.8-4 ASPH lens, at a cost of 2299€. The DMW-BGG9 grip, which is able to double the camera’s battery autonomy will be sold for around 349-399€. Panasonic is a brand renowned for its high-end cameras geared towards video. 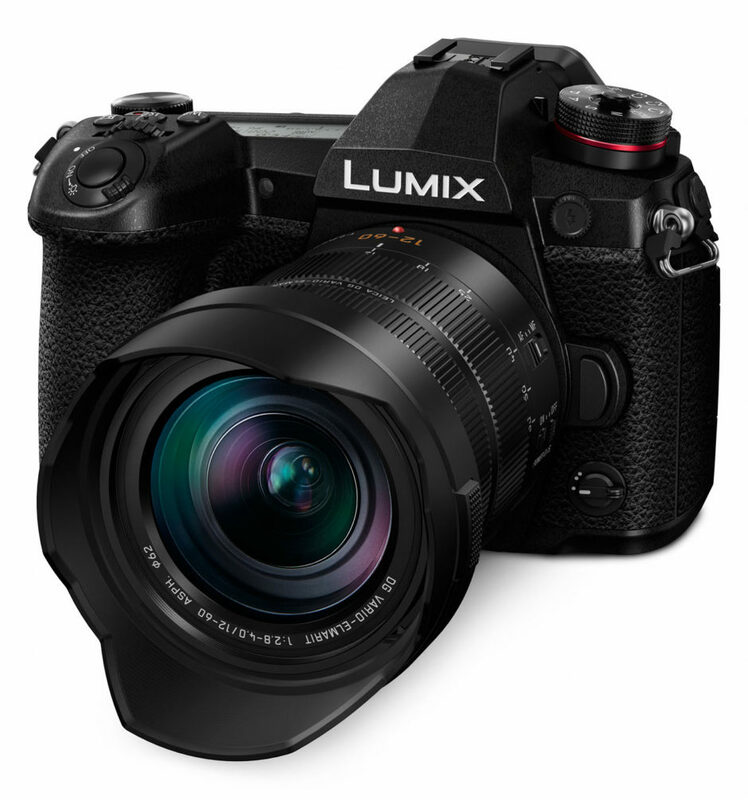 The GH4 was the go-to camera of videographers before being replaced by the GH5 which has confirmed the importance of the role played by video in Panasonic’s high-end camera line. 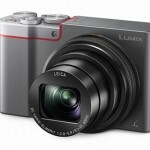 With the G9, Panasonic is attempting to attract photographers who are looking for a professional micro 4/3 format camera. 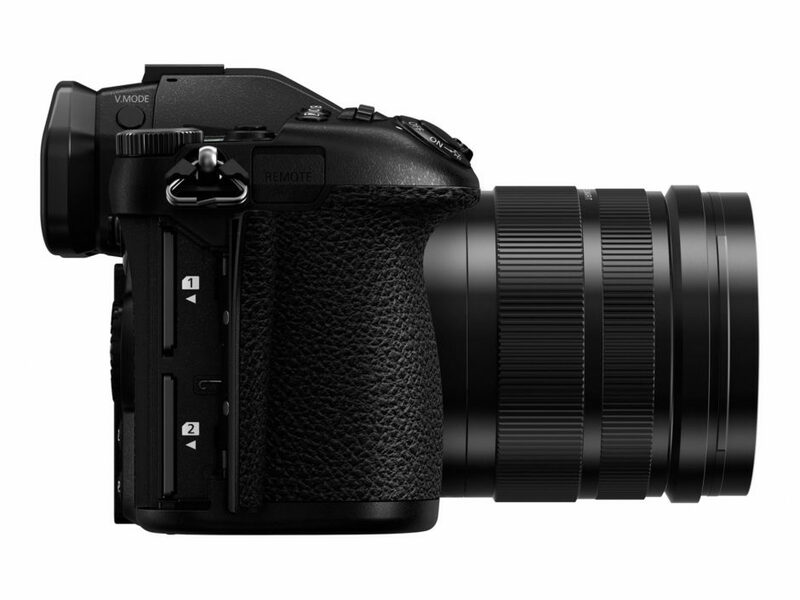 Panasonic couldn’t allow Olympus to dominate the market with its OM-D E-M1 Mark II. 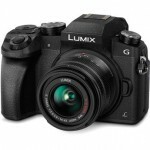 The Lumix G9 has many of the same characteristics as the GH5, and we have not yet been able to establish how much better its image quality may be. Nevertheless, the G9’s classy design, weather-resistant construction, professional ergonomics and elevated performance characteristics are all very impressive.